Hi everyone! Have you seen the Clique Kits February kit? 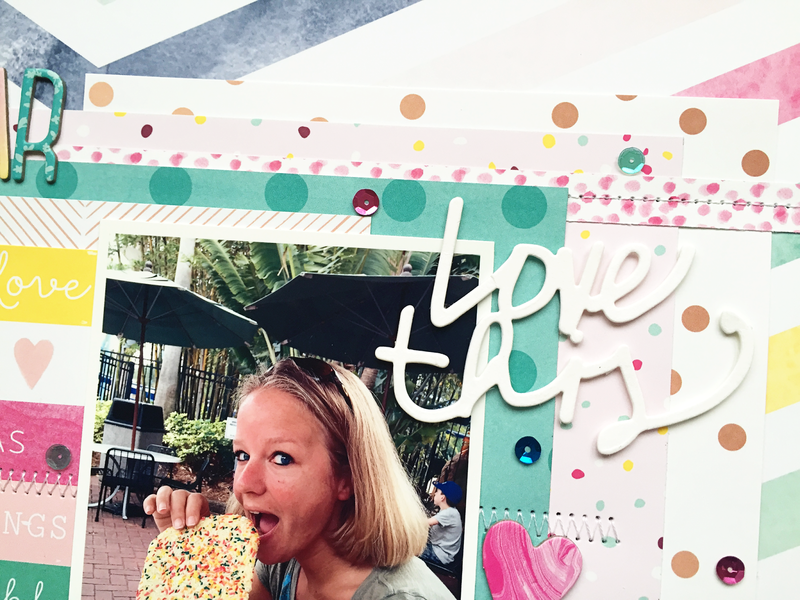 It's loaded with the gorgeous Dear Lizzy Serendipity collection, which is so fun and colorful! 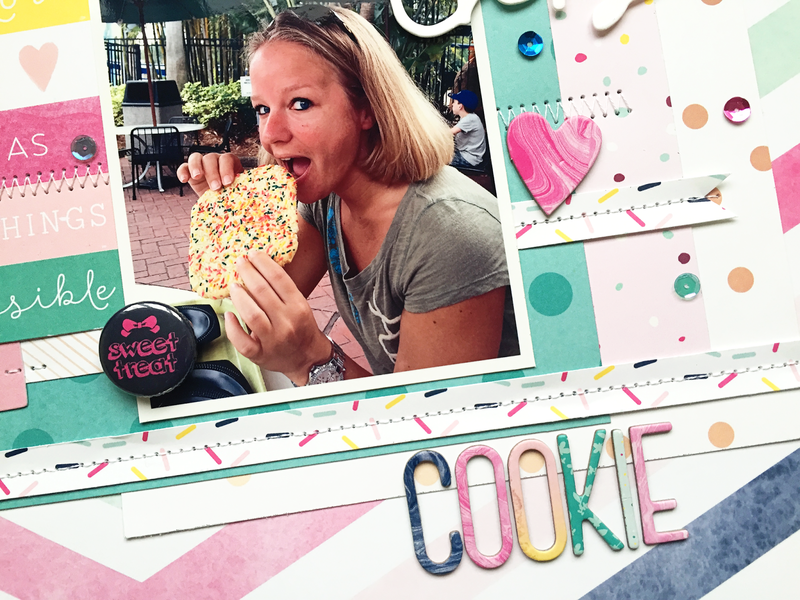 Besides the beautiful bright colors, there's also a lot of sprinkles and candy themed touches, so I had to go with this sugar cookie (with sprinkles) picture for this layout. To add some extra detail in the page I handstitched here and there randomly over the layout. The Clique Kits also have some exclusive flair buttons, that go really well with this theme. I also love the mix of sequins in beautiful colors that came with this kit! The Clique Kits always fly out fast, so get your subscription overhere to have a kit delivered at your door each month! 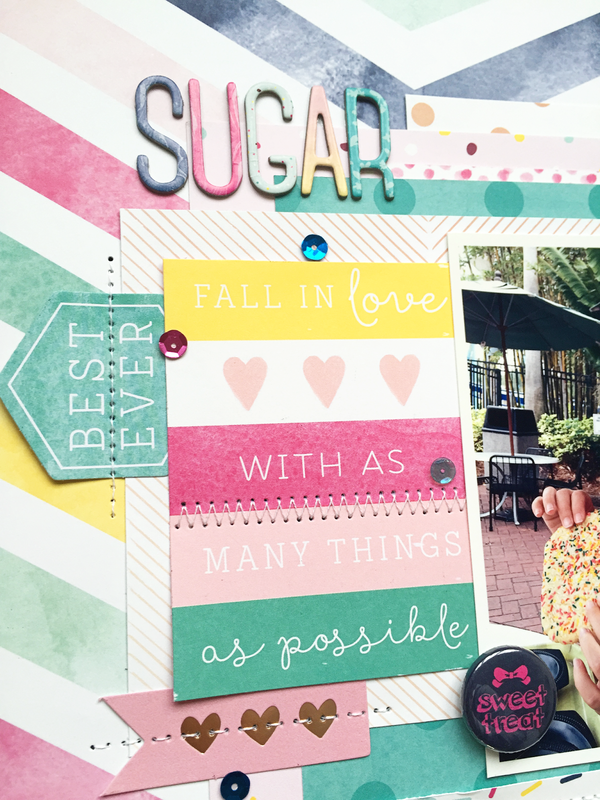 Such a cute photo Danielle, and the Serendipity collection is perfect for your layout! And I love the hand stitching you added to your page!! This is so cute!! I love this fun kit and all the bright colors!